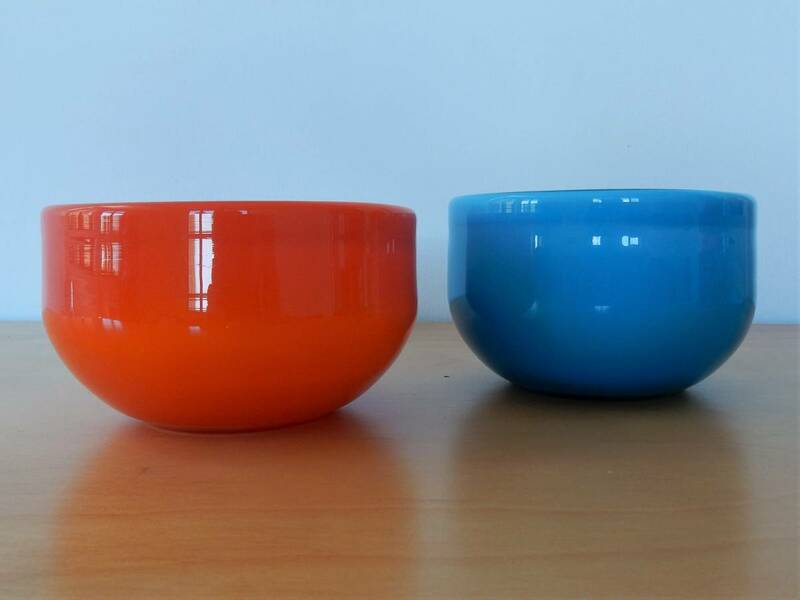 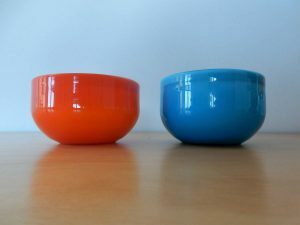 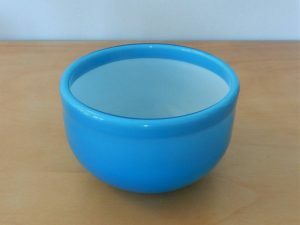 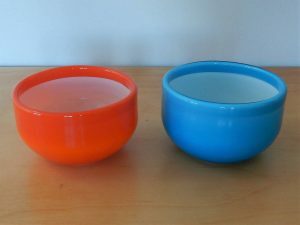 2 very nice medium orange and blue glass bowls from Kastrup-Holmegaard, designed by Michael Bang. 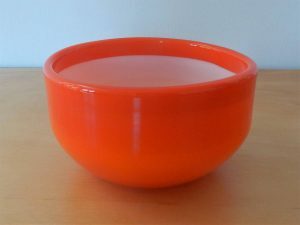 In excellent condition with no defects of any kind. 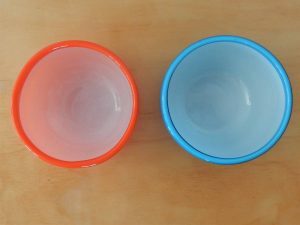 The bowls have lost their sticker over time. Price is for the set of 2 bowls.